Would the Nintendo 64 have been more popular if it had used CDs? You are here: Home / Classic Games / Would the Nintendo 64 have been more popular if it had used CDs? As I mentioned last week, I’m a big fan of the Nintendo 64. The follow up to the Super NES had a great library of games and boasted 4 controller ports on the console whilst it’s rivals only had 2. Over 30 million Nintendo 64s were sold worldwide. Which is just slightly more than the number of PlayStation 3s which have been sold since it was launched in 2006 so it should be considered a success. However, when you consider the Super NES sold 50 million units and the NES sold around 60 million, it doesn’t appear as successful as it’s predecessors. More importantly, it’s main rival at the time was the Sony PlayStation, which sold a whopping 125 million units worldwide. Ironically, Sony only developed the PlayStation after a joint project with Nintendo to produce a CD ROM for the Super NES fell through (known as the SNES CD). So why didn’t Nintendo get a bigger share of the market during the mid to late 90s? One of the biggest factors was Nintendos choice of using cartridges instead of CDs, which was used by the Sony PlayStation and Sega Saturn, both of which were out a year or two before the 64. Nintendo were obviously concerned about piracy, which they had experienced before with the Famicom Disk System in Japan in the 80s and early 90s, so decided against optical media. Cartridges were’t all bad. There would be virtually no loading times and batteries could be included in games to save scores, saved games etc. However, developers had less space to develop games. Most of the first games released used 64mb cartridges though some later games, like Perfect Dark, had 256mb of storage. Though this was still way less than the 750mb which rival CD based consoles could use. CDs were much more cheaper to produce as well. The Nintendo 64 was a much more advanced machine than the Saturn and PlayStation boasting a processor speed of around double it’s rivals but did cartridges limit developers? 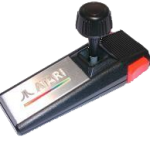 Would we have seen better graphics and improved gameplay in games had game designers had more storage? It’s difficult to say however I do think the Nintendo 64 would have sold more had units had it used CDs as people could have used the system to play their music CDs or VCDs (Video Compact Discs: Essentially films on CDs, this format was incredibly popular in Asia). No doubt Piracy would have been more common though Sony showed that it doesn’t need to cripple a consoles success. There were other reasons why the Nintendo 64 didn’t sell as well as the PlayStation (e.g. too few 3rd party games) however I do believe that the decision to use cartridges instead of CDs was a major factor in Nintendo losing the number 1 position which they had held for the best part of 10 years (it was also a reason why they had less 3rd party support than previous systems). 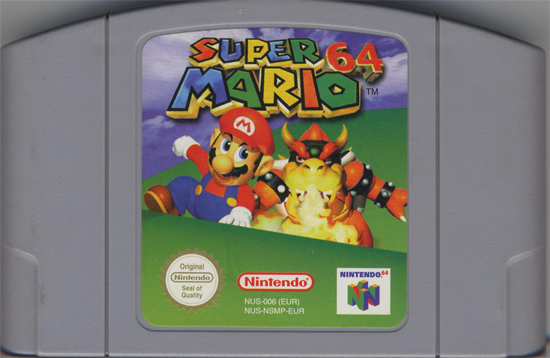 What do you think, would the Nintendo 64 been more popular if it used CDs instead of cartridges?